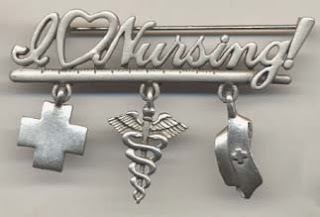 A first aid cross, cadeus staff, and nurse's hat charms hang from a thermometer. 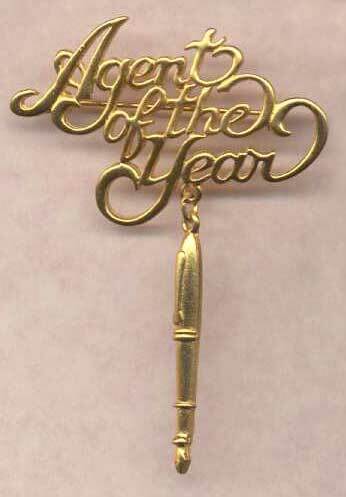 Measures 2 1/2" wide, 1 3/4" high. Closes with a safety clasp. 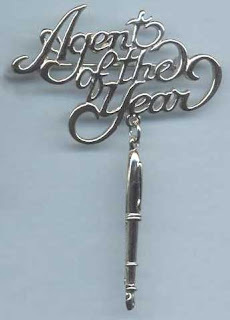 A fountain pen charm hangs from "Agent of the Year" in script lettering. 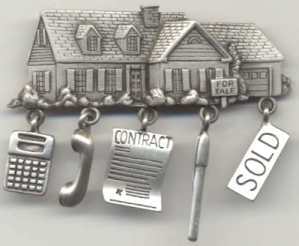 contract, pen and sold sign charms. Measures 2 1/2 " wide and 2 1/8"high.